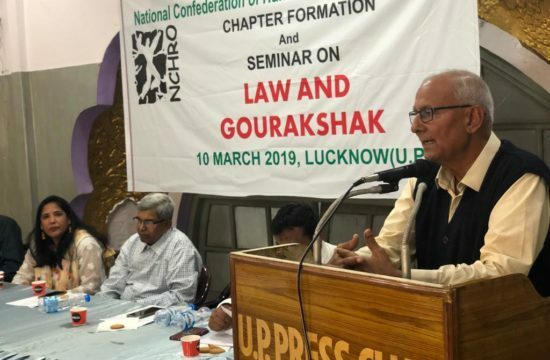 Killing Fields of Uttar Pradesh, The Rule of Law in Crisis : Adv.Mangla Verma chaired Open Forum. 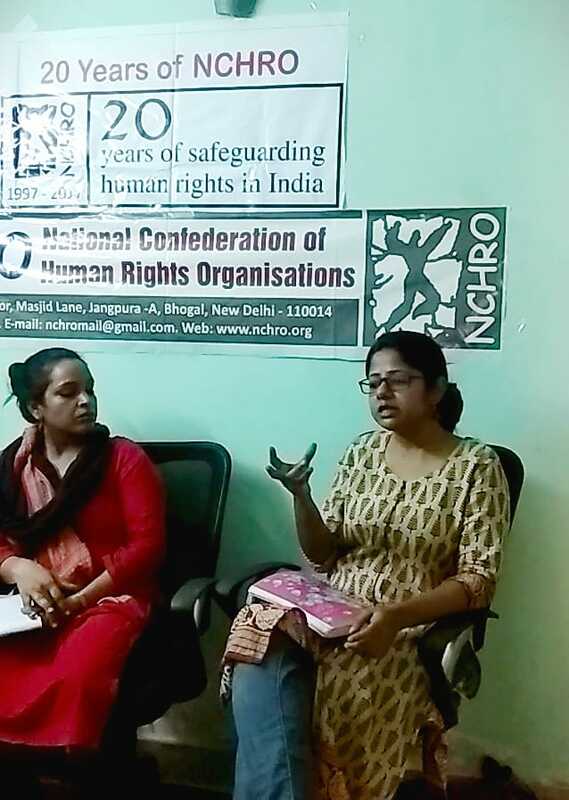 Law Students, Advocates, Journalists, and Human Rights Activists gathered at the NCHRO Office in New Delhi for an Open Forum on “Targeted Extrajudicial Killings in Uttar Pradesh”. 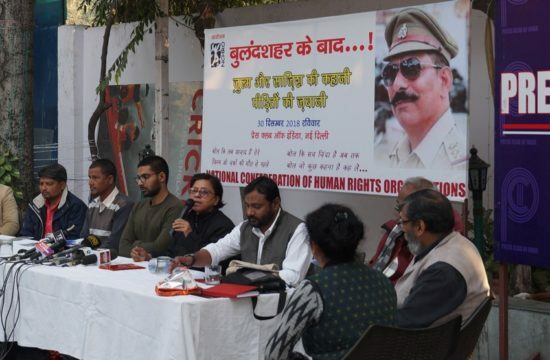 In support of social justice and human rights, the open forum discussed the situation in Uttar Pradesh based on academic, non -government, and human rights perspective. Concerned audience listened intently as Adv.Mangla Verma, Legal counsel of the rights group ‘Citizen against Hate’ led the open forum. 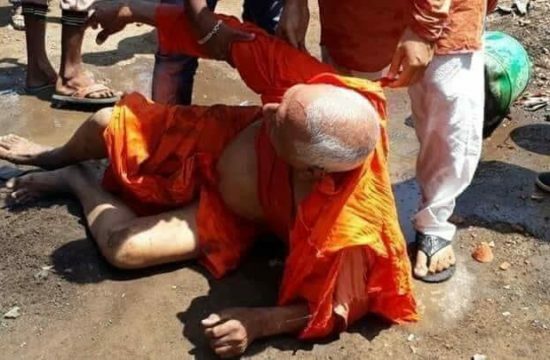 In the short period of just over a year that the Yogi government has been in power, it has notched up 50 killings in almost 1,500 “encounters”. These acknowledged police killings are widely believed to be planned and staged, Lacking any kind transparency, accountability, and vetting, these so-called “encounters” end up as de facto hit lists. No systematic investigations and prosecutions of these murders have taken place. Rule of law is the fundamental principle of governance of any civilised liberal democracy. Yet, the Uttar Pradesh government looks somewhat determined to disregard the first principles of the criminal justice system. 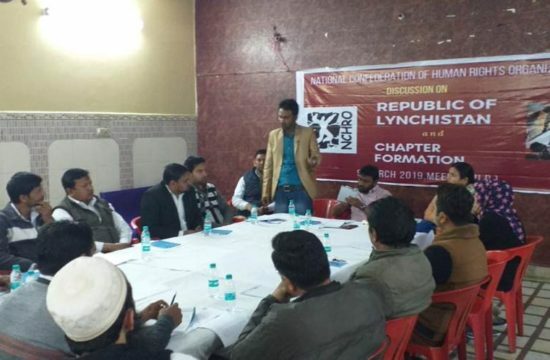 Most of the incidents have taken place in districts close to the national capital such as Meerut, Shamli, Muzaffarnagar, Baghpat, Saharanpur, Bulandshahr, Ghaziabad and Noida. 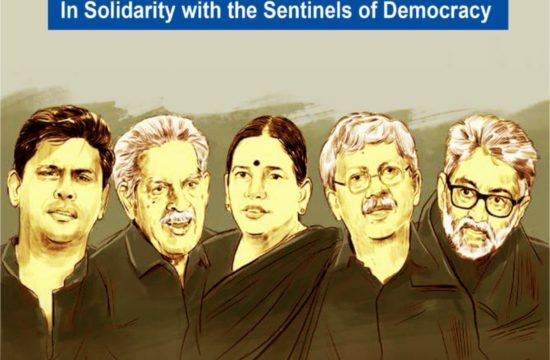 Most of the dead were Dalits, Muslims or members of Backward Classes. 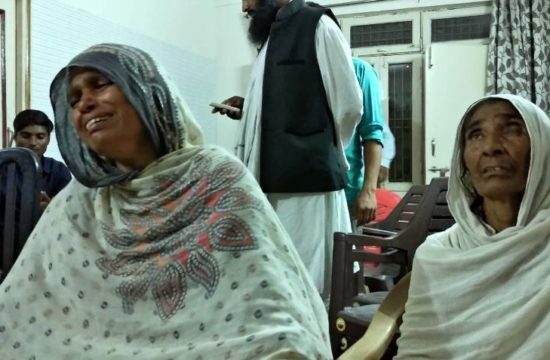 Undeterred by allegations of “fake encounters”, the killings continue with full impunity and immunity to the killers.The civil society has been saying for the last many months that there has been a complete breakdown of law and order in Uttar Pradesh, but no one cared to intervene. 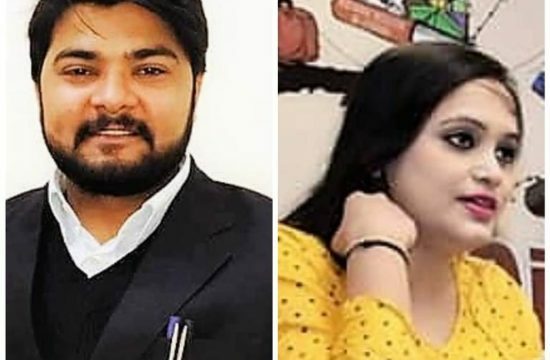 Another chilling trend is in the use of fake encounters by the forces to murder those inconvenient to the party in power. 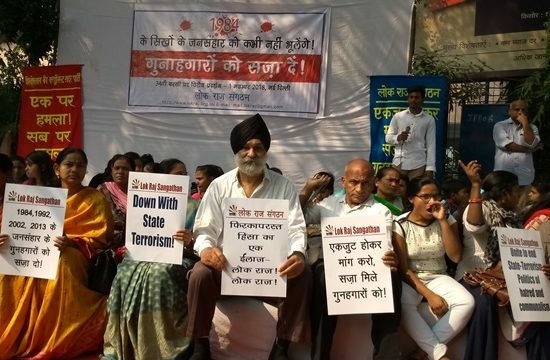 Adv.Mangla Verma included watch group ‘Citizen against Hate’ thoroughly studied these ‘encounters’, particularly 17 cases they observes across 1200 encounters in which 50 persons died and 700 above people injured . Mostly injured in these encounters are in jail and even some victims paralyzed at the firing itself. Despite constitutional guarantees, people are denied access to their lawyers and families while in detention, the administration do not charge or release suspects within constitutionally-mandated time limits. What is apparent is that the police uses a template FIR that fixes the absence of witnesses, and displays commonalities in the sequence of encounter events. It starts with the receipt of secret information about an accused, followed by his interception, his attempt to escape by firing upon the police party and his death in retaliatory firing. 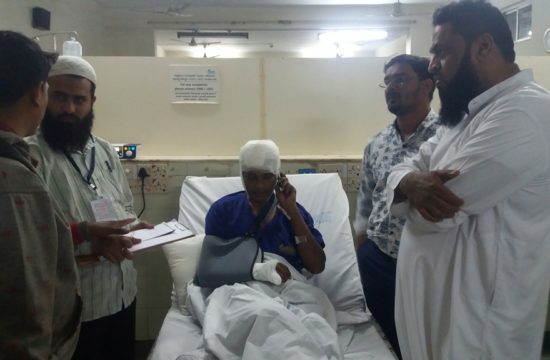 Sequence of events which lead to encounter stated by the police in FIRs recorded by them tend to be identical.The pattern of injuries received by police officials in the encounters also shows similar trend of minimal injuries. In all cases, there were stories of alleged criminal(s) who manages to run away in an unbelievable fashion. 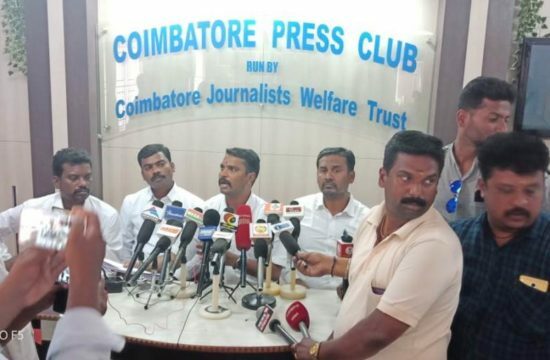 Lack of public eye witnesses to the encounters has been recorded but in reality there were many witnesses who had seen the victim’s being taken away by police just prior to being killed in encounter. Ironically caste decides who dies, only poor people from lower and backward castes are being targeted and killed. 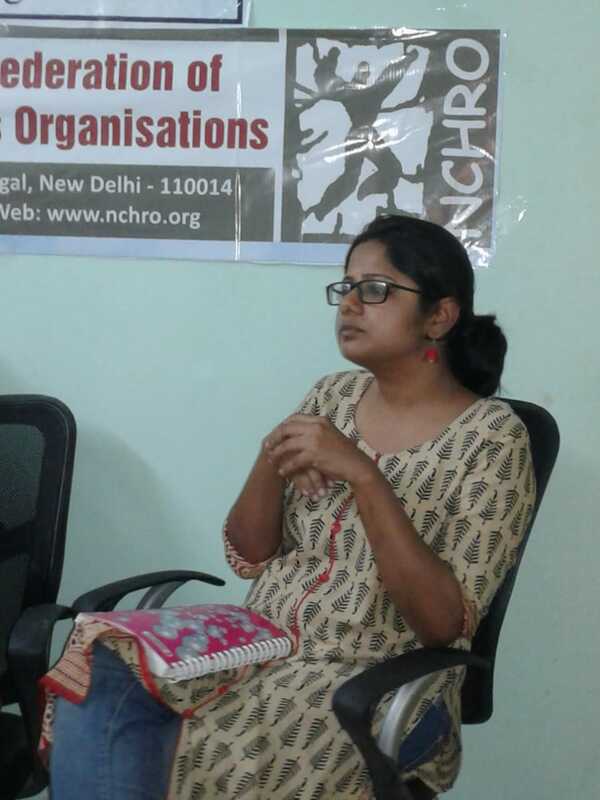 Most of the people killed in the encounters came from poor ‘lower caste’ backgrounds, landless farmers or were working as informal sector workers and hawkers. A close look at FIR’s and postmortem reports shows most of the killings are cold blooded murders. In most of the cases, the families were not even given the postmortem report of the deceased. some of the postmortem report showed injury marks, testifying torture, in addition to bullet wounds. For many of those killed or injured, it appears that the police posthumously inserted clauses of criminality in their record to justify the killings or injuries. The fact remains that even someone with criminal records cannot – under any circumstances – be gunned down in this way if one were to adhere to the rule of law. The open forum emphasized that eradicating crime should start with addressing the weaknesses in implementing the rule of law, rather than ‘killing’ the people by operating outside the law. The primary obligation to promote and protect human rights rests with the State, but those who should protect public safety and the rule of law themselves become criminals. 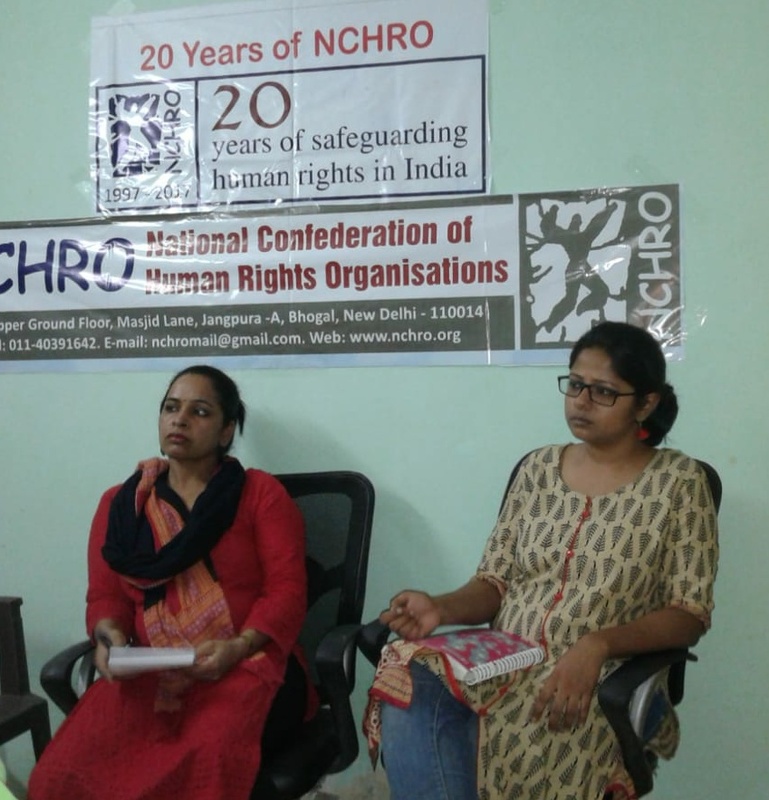 The open forum, welcomed by Ansar Indori, NCHRO Exco member and was initiated by the NCHRO Delhi Chapter.The open forum ended with a vote of thanks by Dr. Ashoka Kumari , Vice Chairperson NCHRO.